Which personal waistband amplifier suits your needs? Leading groups is not an easy task, but an adequate waistband amplifier can relieve your voice of the heavy burden. Who should buy a voice amplifier? A personal voice amplifier kit is recommended for tour guides, instructors, youth counselors, teachers, professors, kindergarten staff, and clowns. The portable voice amplifier is recommended by speech therapists for preventing hoarseness and protecting the vocal cords. How the various models and brands differ and the important things to keep in mind. MINI CLASS - The world's smallest waistband amplifier! Although quite small, this well-designed kit is strong enough even for large classrooms. WINNER – The ultimate waistband amplifier for teachers. Thanks to the high-volume amplification and exceptional sound quality, the students will hear and understand their teacher. 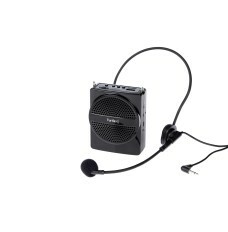 The rechargeable battery provides power for a week of work and the high-quality microphone produces less feedback. This way you don’t have to keep the microphone too close to your mouth and students can see your lips move. SMART - Professional voice amplifier for tour guides. Lightweight, providing strong amplification in open areas and between long distances, even with background noise. PREMIUM – The ultimate waistband amplifier for tour guides. Thanks to the high volume and exceptionally high sound quality, the customers will hear and understand you easily. 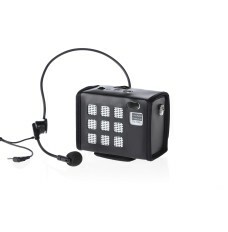 The rechargeable battery provides power for a week of work and the high-quality microphone produces less feedback. This way you don’t have to keep the microphone too close to your mouth and students can see your lips move. With PREMIUM, you can be sure you have a great waistband amplifier that will assist you along the way.